Nancy Gardner had carefully orchestrated plans for Hanukkah, for her holiday vacation from teaching, for her life! The last thing she wanted was for Mike Powers, her first love, to intrude on her holiday. But he has... and suddenly celebrating the holiday has taken on a new meaning. As Nancy and Mike spend time together at sparkling holiday parties and family-centered festivities, Mike ignites feelings in Nancy's heart--feelings she thought were long-buried. But past events have made her certain that their romance will never last. Mike can't deny his feelings for the woman he once loved. The more he sees of Nancy, the more he knows they're meant for each other. Can Mike convince her that their love will shine as brightly as the glowing Hanukkah candles... forever? 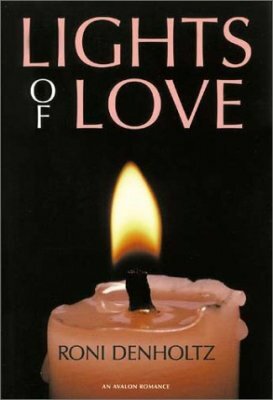 "Lights of Love is a delightful story. Roni Denholtz has captured the holiday spirit in a delightful debut romance… that leaves you with warm, joyful feelings." "Lights of Love by Roni Denholtz is a happy little holiday romance set around the Hanukkah celebration, as two old lovers meet and find a new sparkle in the festival."